A great pitch needs a great story. Here’s how to tell yours. There is a key moment of any pitch when you pause, when you look up at your audience. Sometimes it comes early, sometimes not until you finish. 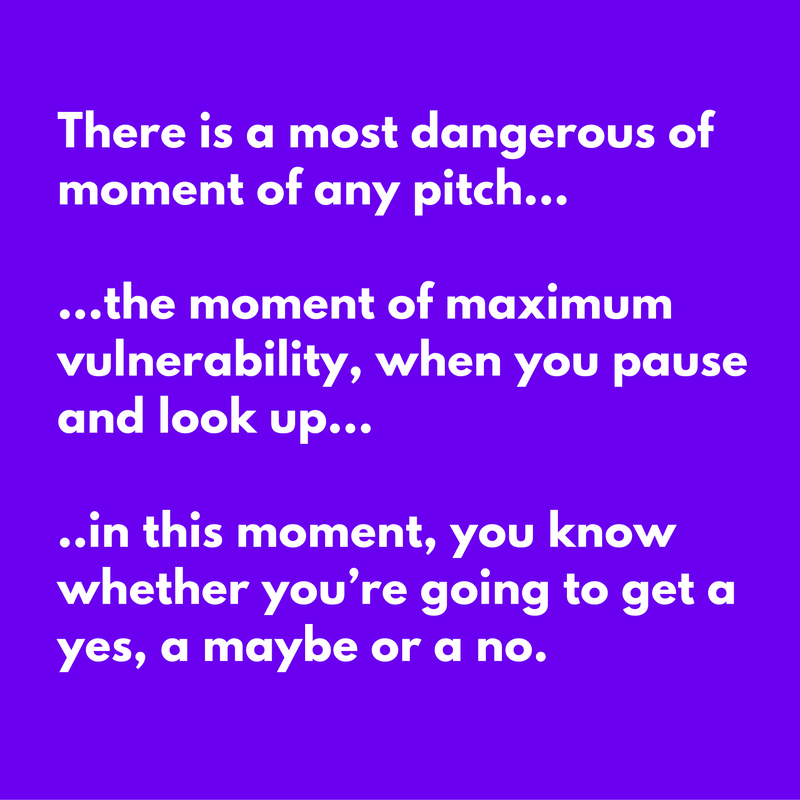 In that most dangerous of moments, that moment of maximum vulnerability, if you’re paying attention, you’ll know whether you’re going to get a yes, a maybe or a no. After a great pitch, your audience wants your audience you to succeed, wants to purchase your product and wants to see you realize your vision. You want your audience leaning in — looking for reasons to say yes. It’s true that reason and logic play some role in decisions, but they mostly serve to limit potential choices and later to justify decisions. The more important a decision is, the larger the role emotion plays. How can you affect how they feel about you/your idea/your product? Great storytelling. Great storytelling leads your audience on an emotional journey that leads them to want what you’re selling. Think about great movies, shows or books. They can make you feel comfortable in the most inhospitable places, get you to root for the bad guy, shape how you think about an issue, challenge you to rethink your positions. Stories are powerful tools to transfer belief, support or enthusiasm for a viewpoint, product, experience or decision. Why are stories so impactful? Everyone brings their own viewpoint and personal experiences to decisions. As a result, what may seem obvious to you often isn’t for other people, no matter how reasonable, ethical and/or intelligent they are. You can’t assume that when presented with the same evidence that other people will come to the same conclusion. Even a diverse, heterogeneous audience in a movie theatre watching a great movie will mostly feel the same way about the characters, the tensions and the resolutions. Stories are a mechanism to bring an audience on an emotional journey FROM one view TO another view. The greater the emotional experience, the greater the conviction and appetite for risk defending the conviction. It’s impractical and probably undesirable to bring people on your own personal journey to get them to empathize with your beliefs. Nobody, except maybe your mother, cares about YOUR journey. We all care about our own journeys. Stories are a way to package up an emotional journey in a controlled, effective, efficient way. When you’re asking people to make a decision that impacts them — giving you money, adopting your ideas, they don’t care about your personal journey UNLESS they’ve been on it with you. That’s what storytelling can do — make you the tour guide, the narrator, the creator of your audience’s emotional journey. Stories make abstract concepts into personal, emotional journeys. Great stories allow people to rationalize emotional decisions by providing easy to understand and repeat narratives. 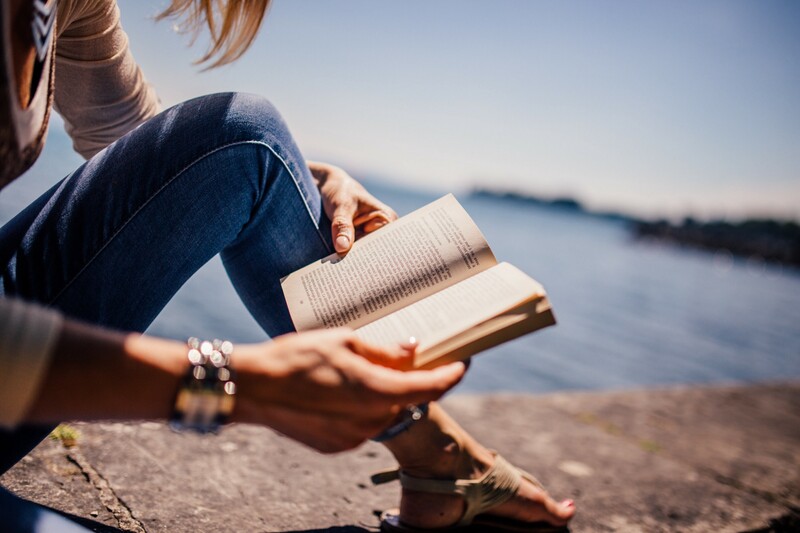 So, how can you harness the power of great storytelling? The short answer: learn from the masters. Great storytelling is all around us — in books, tv, movies. The goal is to bring your audience into a world that you create for them, to care about the things you want them to care about, to feel the frustration, fear, pain that you’ll later resolve. Define the tension. What’s the core tension? What’s not working? Why are they anxious? What’s preventing them from reaching what they aspire to? Make the tension real — make them feel the tension. How does the tension make them feel? Tease them with alternatives that don’t ultimately succeed. What choices or alternatives do they have? Why aren’t these alternatives good enough? Help them see, feel, touch the future state — after buying your product. What is the future state they’re trying to achieve? How will they feel in this state? Release the tension. Paint the “ever after” picture. How does the customer feel? What other emotions do they feel? Are there any secondary benefits? What defines a good or effective story? In a book or movie scene, does it matter that it is snowing? Does it matter that the main character stutters? The storyteller gets to decide. They can frame the entire story — deciding for the audience which details, which tensions are important. Good stories allow for an omniscient, credible narrator. They can contextualize risk and reward. Don’t spend too much time talking about yourself. Establish credibility through your story, not your bio.